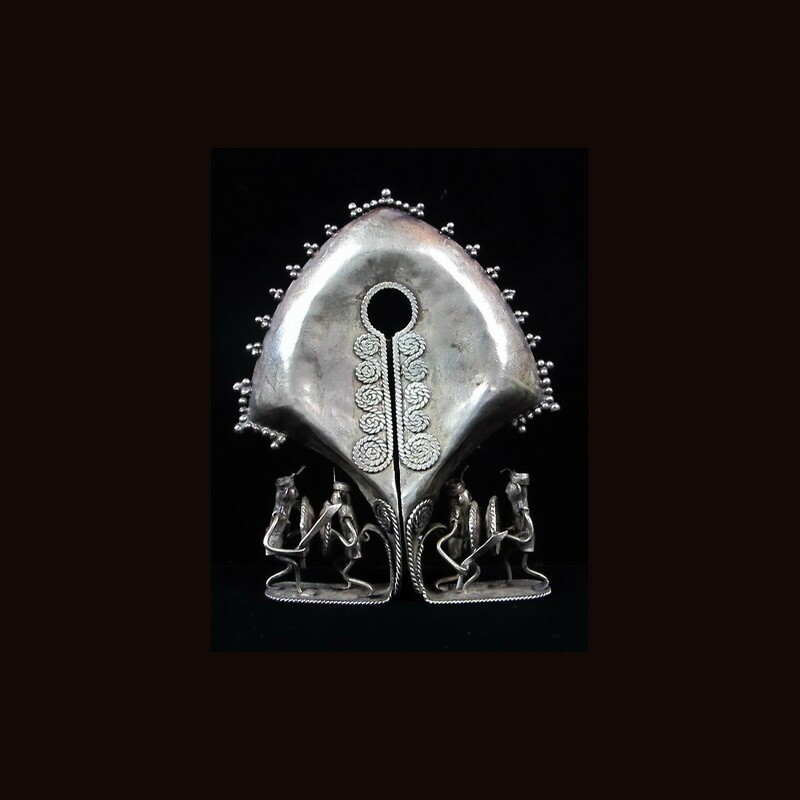 The distinctive ornaments known as mamuli play an essential role in the elaborate ceremonial gift exchanges practiced on important occasions by the people of Sumba Island in eastern Indonesia. In earlier times, when the Sumbanese practiced artificial elongation of the earlobes, mamuli were worn as ear ornaments, but today they hang around the neck as pendants. In Sumbanese culture, precious metals are believed to be of celestial origin. The sun is made of gold and the moon and stars of silver. Gold and silver are deposited on earth when the sun and moon set or shooting stars falls from the sky. Golden objects signify wealth and divine favor. 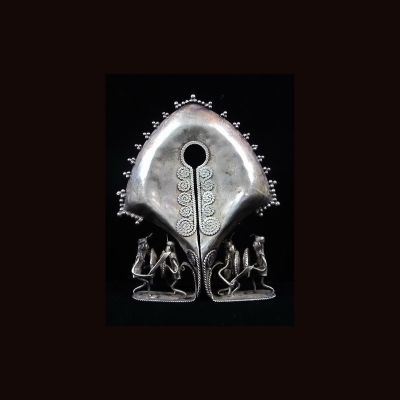 Kept among the sacred relics housed in the treasuries of Sumbanese clans, mamuli serve, in part, to maintain contact with powerful ancestors and spirits. They are rarely removed from their hiding places lest their dangerous supernatural powers kill onlookers or cause natural disasters. This exquisitely detailed mamuli depicts warriors clad in turbans and loincloths brandishing swords and shields as they stride boldly into battle. International e-packet availeble for this item up to 2 KG for USD 20 woarldwide . Please enquire for e-packet before purchase.